Huechys sanguinea, originally uploaded by =spurdog=. 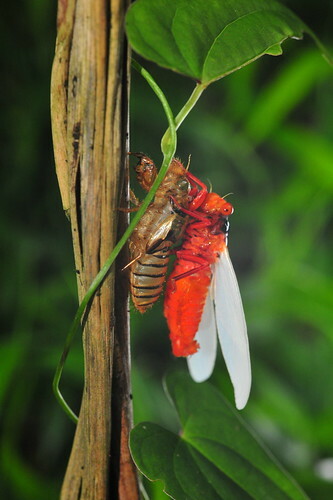 An amazing red-orange cicada. Most of the body and wings turn black when it’s done drying out, but it is just as amazing. WOW! I have never seen this kind before. Where are they from?